The former Chillisauce head of corporate events has joined Seven Events as head of teambuilding, following the agency's rebrand. 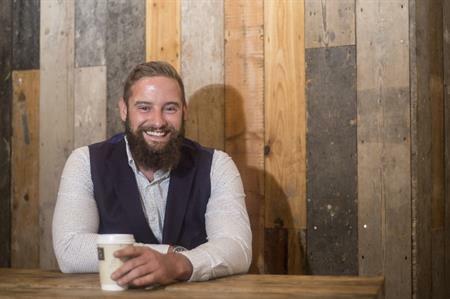 James Diment takes on the role of head of teambuilding at Seven Events. He joins from Chillisauce where he worked since 2013 in various roles, his latest being head of corporate events. Seven Events rebranded from Group Seven Events in summer 2017. "With 14 years of experience in the events industry, I am incredibly excited and proud to join the team here at Seven Events as their head of team-building. My role will focus on developing a strong team-build offering, with the aim of establishing Seven Events as a key provider for this within the industry, in support of their global meetings & event management services. "With my experience and their unrivalled dedication to delivering creative and inspirational events, this year will be incredibly exciting," said Diment. Angelee Rathor, managing director, added: "It’s been a fantastic 12 months for Seven Events – this included a rebrand from Group Seven Events to Seven Events, increasing our team by 50% and increasing our turnover by 150%. "We are super excited about the launch of the new team-building department. While we have always managed activities for all our clients as part of their overall event, I hope that by streamlining the process to now offer standalone team building will help broaden our services. "James is an exciting hire for us as he brings with him a wealth of experience in Corporate Team building and we hope to have a new team in place by March this year."